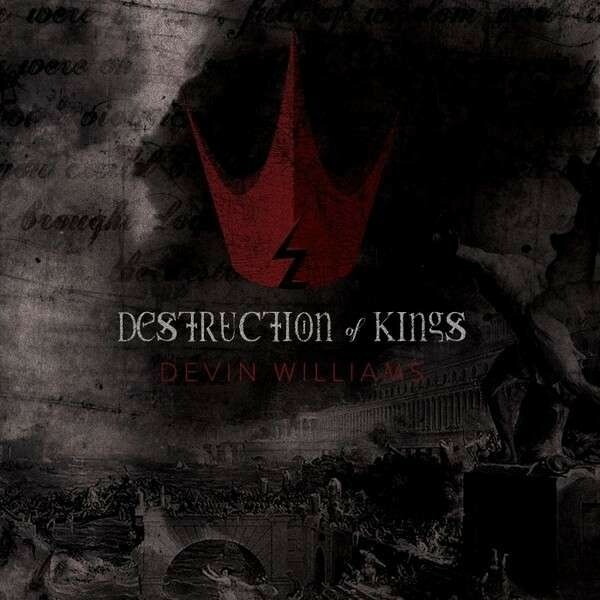 'Destruction Of Kings' is the new release by Christian Rock artist Devin Williams. While Williams says that the album is "for anyone who has ever felt...the lack or presence of a spiritual driven life" it is easy to listen to the talent of this unsigned artist without any religious overtones. Opening title track has hints of Myles Kennedy style vocals and the Rock sound is simple yet tight, the main focus being on William's vocals. 'Like A Fire' is a bit heavier, but these tracks don't hang together so well over the whole album length as the vocal melodies are often too similar across tracks. The exception could be 'Feel You Falling', with its more rhythmic and sparse guitars, but the vocals still cover a very limited range of notes, ending up with the same tone again. The slower 'Here For You' is the type of song that helps to try and bring the album together; there's more of a melody and a greater show of song-writing too. 'People Watching' is the highlight track; more energetic and more light-hearted, it contrasts a fast verse and a slower chorus well without breaking the rhythm of the song. 'Greater Than Fame' has creative song-writing, exploring materialism in its lyrics, but I feel Williams could add more depth to the song in his vocal delivery. Closing track 'Destiny' returns to the heavy style of the first few songs, which is welcome after the previously softer songs. The rhythm feels a little stilted though the pace in the bridge after the chorus feels a lot more comfortable for the song. Again, Williams's voice doesn't seem to quite suit the tone of the song, which this time contains some edgier guitars. Overall, this is a competent album with a laid-back tone throughout the second half and a heavier style in the first. However, it often also feels bland and lacking in personality where the vocal performance can be lacking at times too. Overall, nothing to blow you away.